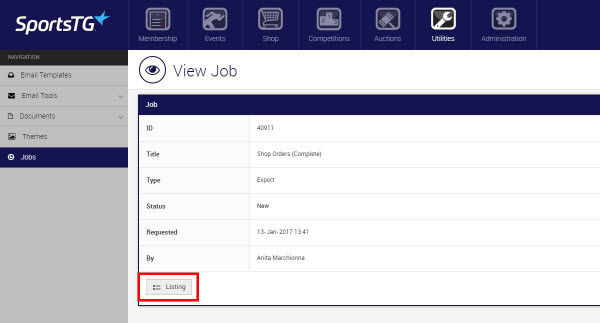 Order exports now have moved to Job Listing to allow for an unlimited amount of orders to be exported at once. 5. Select Export from the drop down menu. From here select the Template that is to be used to export the orders.